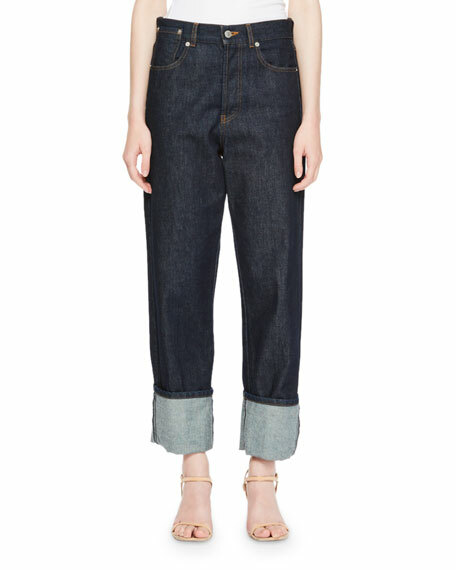 Dries van Noten "Pisco" dark wash jeans with cuffed hem. For in-store inquiries, use sku #2467880. 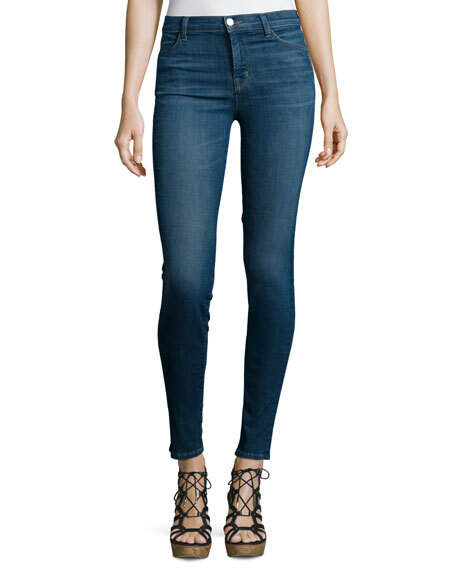 7 For All Mankind jeans in gray-wash, lightweight b(air) denim. Approx. measurements: 26.5" inseam; 37" outseam. Five-pocket style. High rise. Fitted through skinny legs. 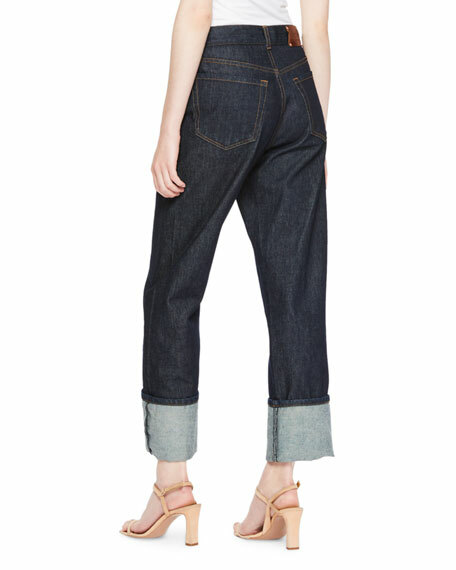 Released ankle-length hem. Button/zip fly; belt loops. Cotton/polyester/lyocell/spandex. Imported. Exclusively ours. 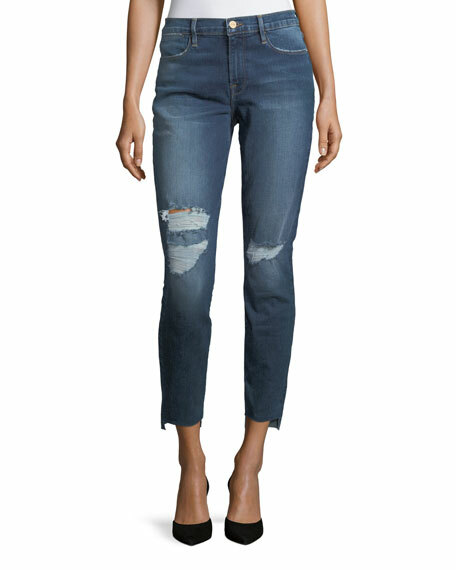 FRAME "Le High" jeans in medium-was denim with distressing, whiskering, & fading. High-rise; belt loops. Button-zip fly. Five-pocket style. Slim fit through skinny legs. Ankle-length. 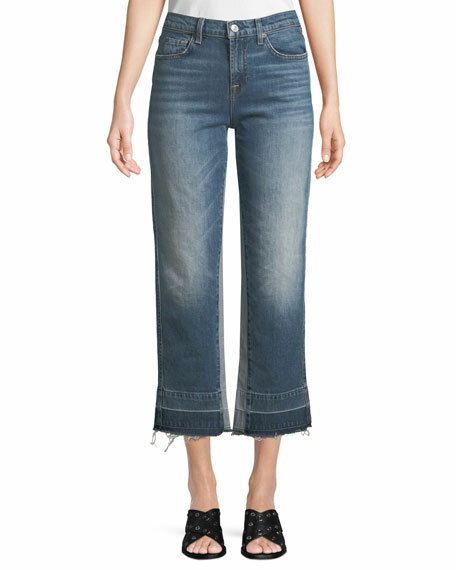 Raw-edge, step hem. Cotton/polyester/spandex. Made in USA.